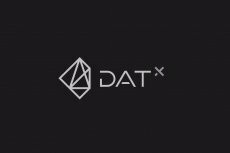 DATx is a Blockchain Empowered Revolutionary Digital Advertising Terminal. 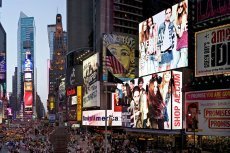 DATx aims to revolutionize the current advertising industry by establishing a brand-new intelligent advertising ecosystem, with decentralization as its foundation and artificial intelligence as its driving engine. According to the forecast of ZenithOptimedia, since 2011, the global advertising market has been steadily developing, with an overall growth rate of between 4% and 5%. In 2018, global advertising expenses will increase 4.4% by the end of year, reaching $592 billion. From that figure, the market share of programmatic media buying and advertising will be above 50%. The era of mobile and big data has been advantageous for the development of programmatic advertising. Mobile devices allow for programmatic advertisements to identify and locate users more closely. Meanwhile, the abundance of mobile-based marketing approaches combined with programmatic advertising boosts the marketing value of digital advertising in both accuracy and innovative capabilities. Programmatic media buying is the purchase of advertisement placement traffic through automated procedures involving artificial intelligence (AI) and real-time bidding (RTB). When the specified audience appears, advertisements with targeted content is delivered to them in real time, realizing precise marketing aimed at individual consumers. Over this background of programmatic marketing, advertisers are no longer restricted to the few existing approaches for delivering and planning advertisements; they now have a much higher degree of flexibility. However, alongside this advantage, programmatic marketing has also generated “the Walled Garden” phenomenon in which major platforms silo off user information, thus posing a larger challenge to advertisers, media channels, and platforms on their abilities to plan, coordinate, optimize, and protect data. Blockchain-based DATx, the product of collaboration between Cosima Foundation and Avazu, is to decentralize the current digital advertising structure. 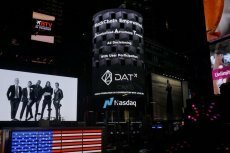 DATx, a blockchain-based advertising solution developed by Cosima Foundation, has finished its first successful TGE raising a total of 50,000 ETH. Cosima Foundation has collaborated with Avazu, a leading advertising platform with global coverage, for the development of its blockchain platform DATx.